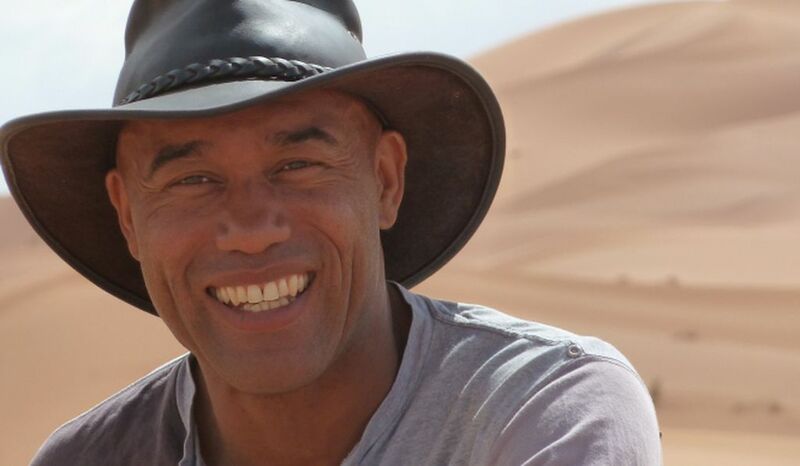 Earlier this year, the Smithsonian’s National Museum of African Art gained a new director: Dr. Gus Casely-Hayford, a London-bred scholar of African history and culture. For this iteration of Smithsonian Second Opinion, he sat down with John Davis, the Smithsonian’s provost and under secretary of museums, education, and research, to help answer the question of why art matters. Over the course of their discussion, the two discussed the current debates on cultural heritage in Africa, how we’re still grappling with the damages inflicted by colonialism, and what makes African art unique to the global community. This conversation has been lightly edited and condensed for purposes of clarity. John Davis, Provost of the Smithsonian: So here at the Smithsonian, art is critical to our mission. We have museums devoted to portraiture, American art, contemporary and modern art and design. We also have museums devoted to the continents of Asia and Africa. And it's that latter focus that brings me here today with the new director of the Smithsonian's National Museum of African Art, Dr. Gus Casely-Hayford to discuss the question of why art matters. 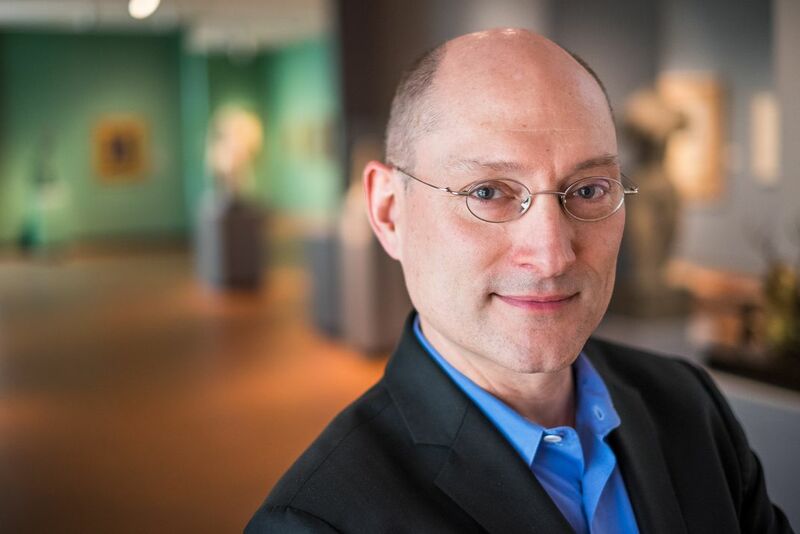 Gus, as the director of a major Smithsonian art museum, you probably get asked often by visitors or students, why does art matter? Is that a question that you think about? How do you respond to that question? Dr. Gus Casely-Hayford, director of the National Museum of African Art: Trying to answer that has been the main driver of my career. This launched me in this particular profession and gets me out of bed every morning is trying to answer that and trying to make people feel the same sense of passion that I feel for the arts. 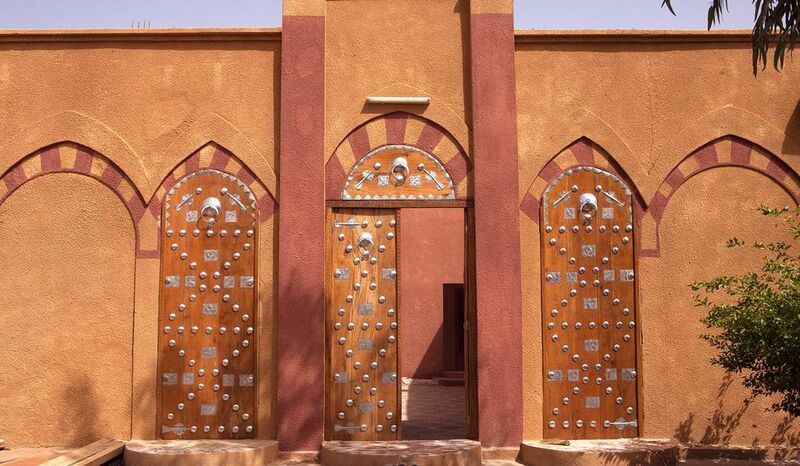 I could most palpably answer why it matters from memory of a trip that I took to Mali in 2012. It was at a point that Mali was going through some terrible times. Ansar Dine, who are an al-Qaeda affiliated militia, had invaded the northern part of Mali. 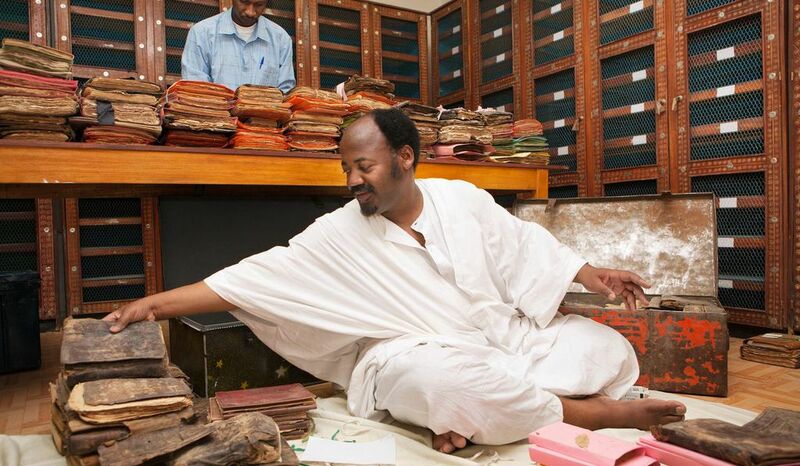 I was visiting Timbuktu at the time, which is a World Heritage Site. It holds an incredible repository of archives, an amazing mosque at its center. What Ansar Dine did was absolutely horrendous. They were an insurgency, but they didn't choose to aim their ferocity at people. They didn't choose to kind of attack infrastructure. What they chose to do was something even more palpably appalling than that. They struck at heritage. They chose to destroy archives, to damage buildings and monuments. That they had an understanding of the power of heritage, the importance of the arts, they knew that by destroying this incredible, utterly unique body of cultural heritage that they felt that they could unravel the knot that held together that society. The fortunate thing is that the people of Mali also had an understanding of how important culture, the arts, and heritage are to them. It was ordinary people who made the effort to move the archives, to defend the buildings where they could. And whilst this insurgency raged, it was ordinary people who put up a front against them. And those [members of Ansar Dine] who were part of that initial invasion, that many of them have now been tried in the Hague and will spend a great deal of time behind bars for the crimes they committed. But people in contemporary Timbuktu understood the power of art. Jacques Lacan spoke about art as being the communal subconscious of a culture. It's the space in which we share our understanding of who we are and who we might be. Of possibilities, whether they range from the things that might be just beyond our reach, or the things we might shape in our future. The idea is enormously powerful, because it becomes the space in which our shared imaginations can run free. And it's a space in which, hopefully, we can all feel that we have a role to play. Davis: That story of what happened in Mali speaks to the importance of art within the community that created it. And also to the potential loss if that patrimony is destroyed. As a museum director you have to think about how art can matter differently within the place where it was created than it does when people from far away are looking at a culture that may not be their own. As a director with a collection of African art, how do you grapple with that? Casely-Hayford: You need to act as a bridge, become a lens that brings together points of connection for people who may not see them. Art is fantastic in overcoming differences and in bringing people together, but you need the right kind of environment, the right kinds of intellectual catalysts to make that happen. One of the few places in which we can emotionally make contact with our fellow human beings, in which we can talk to the really significant, existential things that truly make us matter, is the arts. It is the thing that elevates us from other kinds of being. The ability to make that kind of connection consciously. The valuing of art is the valuing, in my mind, of our humanity. Davis: We succeed at building those connections here on the Mall in Washington, D.C., but how does a museum such as yours think about building communities beyond its immediate vicinity? Casely-Hayford: As a national museum with a focus on Africa, I see that as not a challenge, but as a glorious opportunity to speak with local communities about communities similar to them, but in a way also very different, on the other side of the Atlantic. To open up engagement internationally, we are developing partnerships with communities on the continent and across Europe, to help us to consider and to reconsider the idea of Africa and its arts. We want to do that in collaboration with people across the African continent, because it's inordinately complex with this incredibly long historical trajectory. And yet, we know less generally about its history, its art history, than anywhere else on Earth. And knowing that people in Africa, for the most part, don't have access to such a wide body of fantastic objects, it just reinforces that we cannot overlook the museum as a privileged resource and that it is our duty to share this wonderful message of African art with everyone that we can. Davis: What are the benefits of connecting with museums on the African continent and the communities around those museums? Casely-Hayford: Whenever I travel in Africa, and I see the incredible interpretive skills that people have there. I grew up in London and for me Africa felt very far away. But one of the ways in which I felt connected to Africa, and one of the things that made me want to do what I do, was when my aunts would come and they would visit, they would bring with them the most portable of African artifacts, incredible cloth. And they would draw out this cloth and they would lay it on their laps. 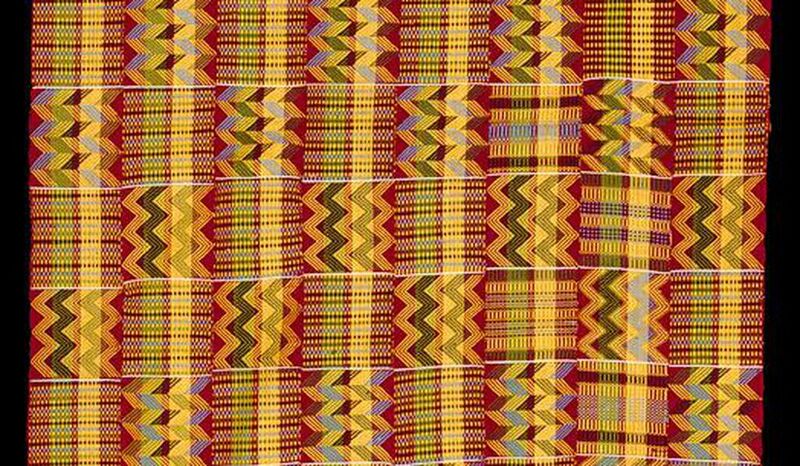 They would tell glorious stories, and you could see on the surface of a 100-year-old piece of kente the beautiful pearl-like globules of wax that had melted during a party a generation or so ago. You could smell that palm oil, which probably they'd cooked some glorious celebratory meal in. The object itself had become a kind of physical instantiation, not of a particular moment, but of the continuum of our family’s history and the use of it, and the reuse of it. The fragility of it was part of its wonder. This sense of history being alive and active and being about interpretation and about dialogue is something that I would love Africans to work with us to dynamize our collections. And I would love to work with our partners in Africa to build their collections. I want them to work with us in rebuilding the interpretation of our respective collections. And in that kind of dialogue, there is a kind of a beautiful synergy of reanimating this work. Many of these things which are in our museum might feel out of context, but we can give them back their context and revitalize these histories. Davis: You've mentioned the importance of history, which reminds me of something that you have said in the past. And I'm quoting, "The struggle to keep African narrative alive has been one of the most consistent and hard-fought endeavors of African peoples, and continues to be so." Why is keeping the African narrative alive so difficult? And what is the role that art can play in helping to do that? Casely-Hayford: I think for almost everyone of African descent that there is a kind of a mourning for something. A feeling of a loss of narrative. That’s because we still suffer from that thing that the Enlightenment did to Africa. It was, in my mind, kind of horrendously cruel that many of the greatest philosophers of the Enlightenment age were pretty unpleasant about Africa and talked about it as a continent without history. Hegel, Locke, Kant, so many of those great thinkers, when it came to Africa and African heritage, they were very dismissive. And in part, that was a way of justifying some of the horrendous things that happened across the course of the 18th century to peoples of African descent. Not just colonialism, but slavery and the forced transportation of peoples. And with that came an assault on the history that bound those peoples together. It has left many people with an idea that African history might not really exist and that African culture might be primitive. For [African] culture, the progenitor of all others, for the peoples who created art that would inspire the very idea of modernity, for the cultures whose music traditions have transcended the world and seem to underwrite almost all popular music, the very idea that these people haven't made a significant contribution to culture is an intellectual injustice. And for me, one of the things I've been driven by is by wanting to recalibrate that, to rebalance that, to address it. There's a huge, wonderful tradition now of African intellectuals creating a new body of history upon which we can, with a great deal of confidence, begin to reshape our understanding of Africa's past. 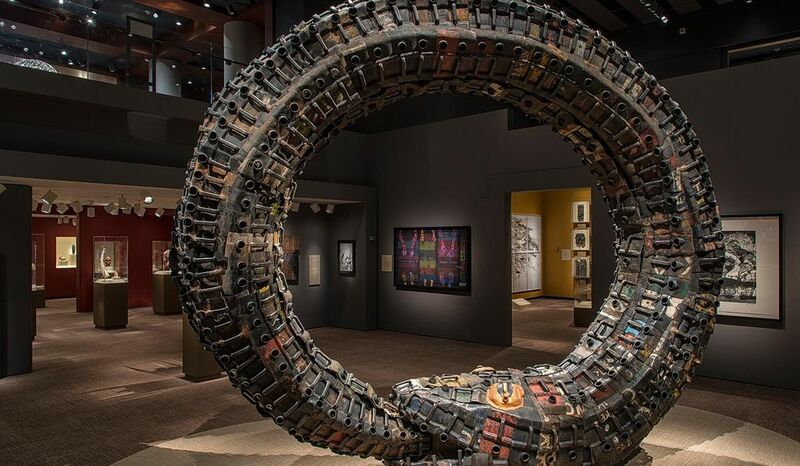 But one part of it is the work that [the National Museum of African Art] does, which is: We are an interface for many American people, who may still have that slightly tarnished version of Africa, where they can discover the Africa that I know and I love. This inventive, wonderful, but also incredibly robust continent that has fought over hundreds of years for its heritage. Davis: The narratives that one thinks of when one considers the colonial history of Africa are also stories that are problematic, similar to ones unpacked here at the Smithsonian: The story and the legacy of American slavery at the National Museum of African-American History and Culture. The story of the settler/colonial process that is so much a part of the history of native communities at our National Museum of the American Indian. And your museum is actually one of 19 museums, nine research centers, and the National Zoo. What does that enable you to do in terms of telling your story when you think of being a part of this complex of museums that are telling similar stories? Casely-Hayford: In so many other Western nations, the representation of Africa is usually as part of a single, national, material-culture-focused museum. Very often, that Africa can be somewhat diminished in that context. What we have the opportunity to do here is to demonstrate the different forms of excellence that exist across cultures internationally. The idea that this discrete, African voice can be appreciated within a wonderful spectrum of others is absolutely as it should be. We are the only museum dedicated to all of the arts of Africa, and I treasure that as a platform on which to celebrate the thing I love. Davis: What do you see as the major trends in African Art that you hope to see in the museum? Are there new audiences you hope to engage? What can we look forward to in your directorship of the museum? Casely-Hayford: I travel in Africa all the time, and I go to a city like Accra and you get a sense of a city in which so many of the big, global phenomena that seem you almost abstract from here. The stresses and strains between Islam and Christianity are being played out actually in the city itself. They've just built a vast mosque and they are, at the moment, working to build a new national cathedral. You also see the way in which people are concerned about the environment, and the actual impacts of that, in terms of global warming, are absolutely manifest in many African cities. African artists are dealing with those very things in ways in which I don't see from artists of other areas. Someone like Romuald Hazoumé, who has created this incredible serpent that is devouring its own tail that sits in our gallery. It's made from old oil cans, and it speaks to the way in which the world around him in Benin is changing. 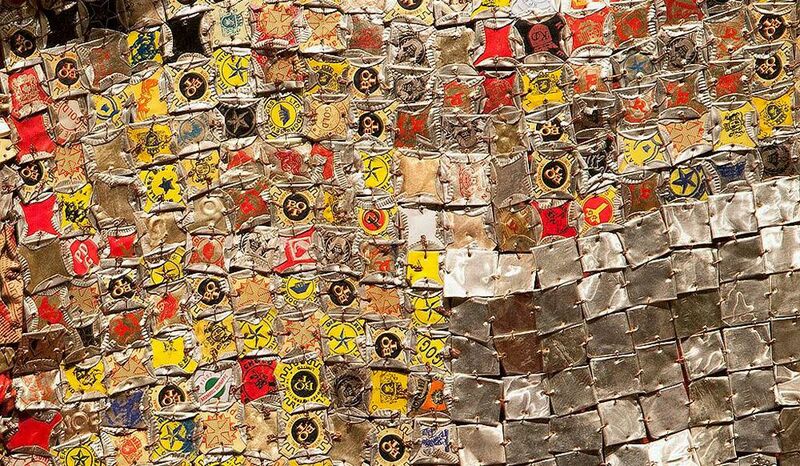 Or someone like El Anatsui whose work is crafted from old cans, and yet he builds with them these incredibly beautiful cloths. And again, it's speaking to this idea of the ephemeral and cloth and time and story and narrative. African artists are doing that thing that so few artists are doing at the moment: speaking to big global issues with a kind of particularity that speaks to Africa and with such incredible beauty. I want to continue that tradition of bringing that art to our gallery, art which speaks to all of us because it speaks to the big issues of the day that unite us as human beings. At the same time, it’s art that is so visually arresting that it's going to grab you when you see it, and you're not going to forget. That is what I see as quintessential to the National Museum of African Art.